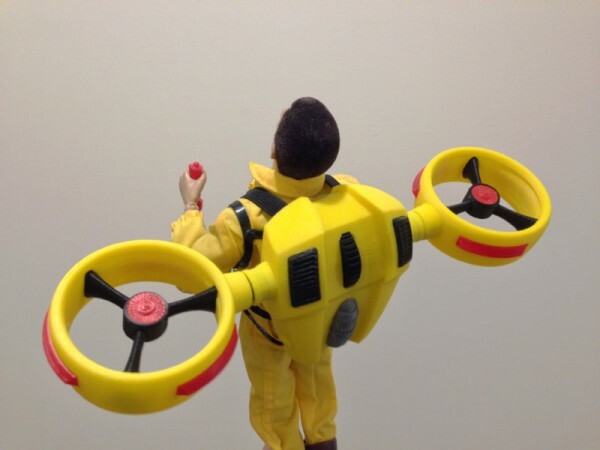 This entry was posted in 3D Printing, GI Joe, Model Making by Sean. Bookmark the permalink. Love this as I’ve already stated, have mine ordered just waiting for some other stuff to come into stock at Cots before they ship it off to me. Hoping you’ll possibly do the really cool stealth version as well. Either way,. I can’t wait to see what you cook up for them next. I certainly wouldn’t rule out a stealth version, though we haven’t discussed that yet. We are working on a few cool things, however, which may or may not see the light of day. We will just have to wait and see. Thanks for your comments! Just wanted to let you know i received my Heli-Pack today, and I’m thrilled with the quality of this piece. It’s really hard to believe this was not mass produced from a factory. Very creative and top notch quality. As i said before i can’t wait to see what you cook up for Cots next, and really hope at some point they get you to do the Stealth version of the heli-pack. They could pack it with one of their giant spiders and re-interpret “Black Widow Rendezvous”. I can’t thank you enough for the comments, Bill. I am currently working with Greg at Cotswold on another project or 8 but I can’t say anything of course. I do know that all of the Heli-packs sold out even before I got them delivered, so they may order more. I think it more depends on me and my schedule, rather than demand, because demand was obvious. I hope to do some variants on this one (and other stuff) later too, so yeah, it would not surprise me to have a Stealth version of this Heli-pack. Glad you like the quality. I was very very hesitant to sell my original version because it was nowhere near as robust and strong, and with a printed harness, that thing broke so easily I would have been ashamed to sell it. The elastic is a good system, and is a single loop, no sewing needed. I took great pains to get that right. It is adapted from the Drone backpack harness I created for the Dallas convention diorama. This is awesome! Do you have any plans to make one in blue? I can. I have considered many colors. I recently released a black/silver “stealth” version for sale now at Cotswold Collectibles. But other colors are certainly possible and likely. You can commission a unique one if you like..